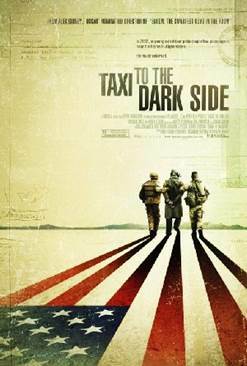 Taxi to the Dark Side is a 2007 documentary film which focuses on the murder of an Afghan taxi driver named Dilawar, beaten to death by American soldiers while being held in extrajudicial detention at the Bagram Air Base. Taxi to the Dark Side examines the USA's policy on torture and interrogation in general, specifically the CIA's use of torture and their research into sensory deprivation. The film includes opposition to the use of torture from its political and military opponents, as well as the defense of such methods; attempts by Congress to uphold the standards of the Geneva Convention forbidding torture. The film is said to be the first to contain images taken within Bagram Air Base. Fill in the blanks in the following sentences by using the words provided in the box below. Use the appropriate form of the words to make your choice grammatically correct. Check a dictionary and find examples of the words above in different sentences. Try replacing a word with its synonym and decide if they are interchangeable in different circumstances. Construct your own sentences using the words above; this can help you memorize the words even better.